MAZDA CERTIFIED * Carfax One Owner! 2016 Mazda CX-5 TOURING EDITION * Titanium Flash Mica w/ Black Interior * All Wheel Drive * SKYACTIV Technology * Mazda Infotainment System w/ Navigation * Affordable and Easy to Maintain *** *** McDonald Mazda has Colorado's largest selection of Certified Pre-owned Mazda's! *** Mazda Certified Pre-Owned Details: * Limited Warranty: 12 Month/12,000 Mile (whichever comes first) after new car warranty expires or from certified purchase date * 160 Point Inspection * Warranty Deductible: $0 * Vehicle History * Powertrain Limited Warranty: 84 Month/100,000 Mile (whichever comes first) from original in-service date * Transferable Warranty * Roadside Assistance * Includes Autocheck Vehicle History Report with 3 Year Buyback Protection *** McDonald Mazda South at 6100 South Broadway in Littleton has recently completed construction on the Nation's flagship Revolution dealership, come experience the unequaled luxury for yourself. As always our Market Based Pricing ensures you will always get the best price possible on every pre-owned vehicle! All of our pre-owned vehicles are fully inspected and reconditioned to our high standard. McDonald Automotive is a family owned dealer group for over 50 years and passionately dedicated to community involvement. To us doing right comes naturally!. Please call us today at 303-376-4732 to schedule your test drive. MAZDA CERTIFIED * INFOTAINMENT SYSTEM w/ NAVIGATION * Carfax One Owner! * 2016 Mazda CX-5 Touring. Sonic Silver Metallic w/ Black interior * All Wheel Drive * SKYACTIV Technology * and more! *** McDonald Mazda has Colorado's largest selection of Certified Pre-owned Mazda's! *** Mazda Certified Pre-Owned Details: * Limited Warranty: 12 Month/12,000 Mile (whichever comes first) after new car warranty expires or from certified purchase date * 160 Point Inspection * Warranty Deductible: $0 * Vehicle History * Powertrain Limited Warranty: 84 Month/100,000 Mile (whichever comes first) from original in-service date * Transferable Warranty * Roadside Assistance * Includes Autocheck Vehicle History Report with 3 Year Buyback Protection *** McDonald Mazda South at 6100 South Broadway in Littleton has recently completed construction on the Nation's flagship Revolution dealership, come experience the unequaled luxury for yourself. As always our Market Based Pricing ensures you will always get the best price possible on every pre-owned vehicle! All of our pre-owned vehicles are fully inspected and reconditioned to our high standard. McDonald Automotive is a family owned dealer group for over 50 years and passionately dedicated to community involvement. To us doing right comes naturally!. Please call us today at 303-376-4732 to schedule your test drive. MAZDA CERTIFIED * ONE OWNER * ONLY 13K MILES!! Clean Carfax One Owner!! 2016 CX-5 Sport! Colorado ready w/ All Wheel Drive and SKYACTIV Technology for the best fuel economy!! 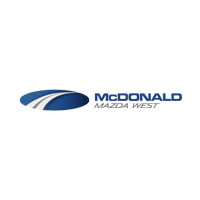 *** McDonald Mazda has Colorado's largest selection of Certified Pre-owned Mazda's! *** Mazda Certified Pre-Owned Details: * Limited Warranty: 12 Month/12,000 Mile (whichever comes first) after new car warranty expires or from certified purchase date * 160 Point Inspection * Warranty Deductible: $0 * Vehicle History * Powertrain Limited Warranty: 84 Month/100,000 Mile (whichever comes first) from original in-service date * Transferable Warranty * Roadside Assistance * Includes Autocheck Vehicle History Report with 3 Year Buyback Protection *** McDonald Mazda South at 6100 South Broadway in Littleton has recently completed construction on the Nation's flagship Revolution dealership, come experience the unequaled luxury for yourself. As always our Market Based Pricing ensures you will always get the best price possible on every pre-owned vehicle! All of our pre-owned vehicles are fully inspected and reconditioned to our high standard. McDonald Automotive is a family owned dealer group for over 50 years and passionately dedicated to community involvement. To us doing right comes naturally!. Please call us today at 303-376-4732 to schedule your test drive. MAZDA CERTIFIED * CARFAX One-Owner. * Soul Red Metallic 2016 Mazda CX-5 * Touring Edition * AWD * 6-Speed Automatic SKYACTIV® 2.5L 4-Cylinder DOHC 16V * Bose 9-Speaker Audio Sound System * Moonroof . *** McDonald Mazda has Colorado's largest selection of Certified Pre-owned Mazda's! *** Mazda Certified Pre-Owned Details: * Limited Warranty: 12 Month/12,000 Mile (whichever comes first) after new car warranty expires or from certified purchase date * 160 Point Inspection * Warranty Deductible: $0 * Vehicle History * Powertrain Limited Warranty: 84 Month/100,000 Mile (whichever comes first) from original in-service date * Transferable Warranty * Roadside Assistance * Includes Autocheck Vehicle History Report with 3 Year Buyback Protection *** McDonald Mazda South at 6100 South Broadway in Littleton has recently completed construction on the Nation's flagship Revolution dealership, come experience the unequaled luxury for yourself. As always our Market Based Pricing ensures you will always get the best price possible on every pre-owned vehicle! All of our pre-owned vehicles are fully inspected and reconditioned to our high standard. McDonald Automotive is a family owned dealer group for over 50 years and passionately dedicated to community involvement. To us doing right comes naturally!. Please call us today at 303-376-4732 to schedule your test drive.